Daniel Day coached for two seasons at Saint Joseph’s College following his assistant position at Seton Hill. At the time, he was the youngest head coach in Division II football. Photo from Seton Hill Athletics. Daniel Day, a member of the first football team at Seton Hill University in 2005, was hired in December following the national search for a new head coach. The Griffins were 13-53 under former coach Isaac Collins and his staff, who were replaced after six seasons, including 1-10 in the 2018 season and 0-11 in 2017. Following his graduation in 2009 with a bachelor’s degree in history, Day was also on staff for two years as a graduate assistant while he was getting his master’s at SHU in elementary education. He was captain his senior year and helped the team go to the second round of the NCAA Division II playoffs and finish 10-3 in 2008. Previously, Day coached at Saint Joseph’s College, a Division II college, in Rensselaer, Ind. He served as assistant head coach, special teams coordinator, offensive line coach and strength and conditioning coordinator before becoming head coach in 2014. 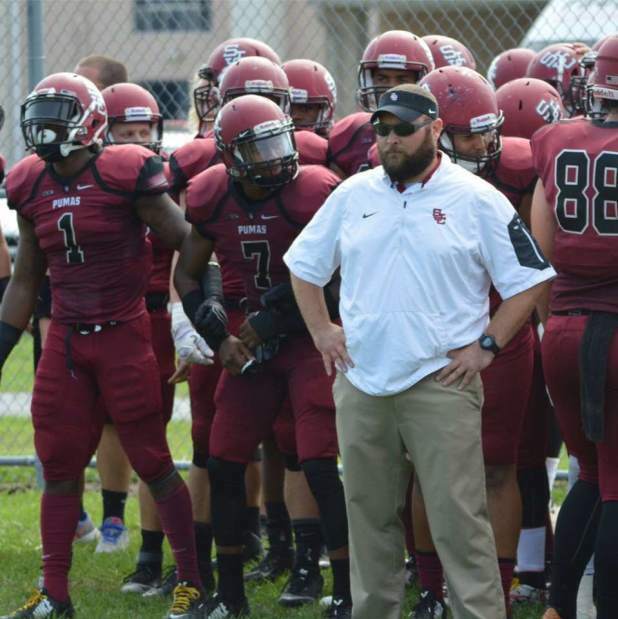 Day also worked as offensive coordinator and offensive line coach at Benedictine University in Illinois following the closure of Saint Joseph’s College in 2016, and then served as head football coach at Warren Local High School in Vincent, Ohio in 2018. Recruiting is going “really well” despite being “so far behind,” Day said. Day said recruiting is similar to being a “salesman,” in which he can sell “better than other people” because of his alum status. 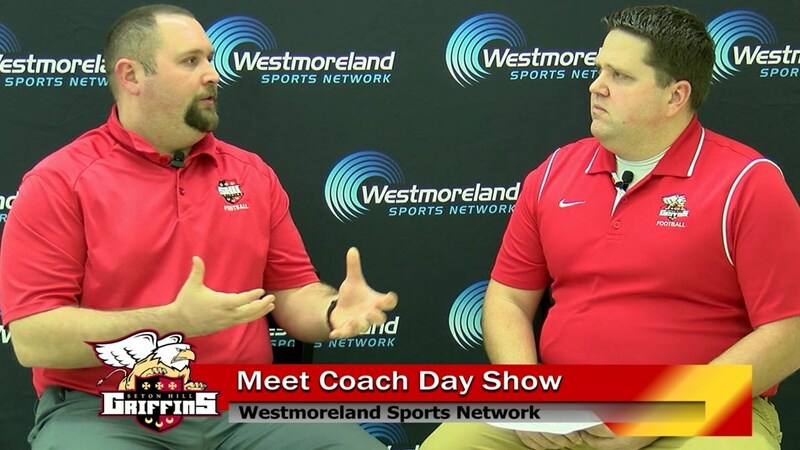 Head coach Daniel Day talks to Dan Flickinger of the Westmoreland Sports Network, the broadcast partner of Seton Hill University, during an interview following his hiring in December. Photo from westmorelandsports.com. “We still have a ton of work to do, but I’m really pleased with the work the staff has already done, and how well they’ve acclimated to what we want to do and how we want to improve,” Day said. Originally from a small town near Youngstown, Ohio, Day returns to Greensburg with his wife and three kids, who he says he is excited to have around on campus. The team will be focusing on “team building,” “discipline” and “creating a great foundation for our culture.” They will also learn four pillars: character, pride, caring and winning.